This camp is a ministry of Soul’s Harbor Apostolic Church in Bristol VA. It began in 1999 as the vision of Bishop Dean Livingston. The unique design of our camp allows for our youth to spend very busy days forging relationships during daily activities and late night cabin life. Those bonds are evident in the evening services when new friends come and lift up the Name of Jesus together. We have seen many leaders emerge among our young people as they support one another and pray friends thru to the Holy Ghost. It is an experience our youth should not live without! This VISION for this camp is to provide a place where youth of like faith can come together to worship Jesus & establish friendships that will last a lifetime. Daily activities include: hiking, fishing, boating, archery, arts & crafts, swimming, paintball (for ages 12+), cooking classes, war games and much, much more!! Click HERE to Download the IAF Welcome Sheet. It contains information for Checkin/Checkout, Camp Schedule, Activities, and more. 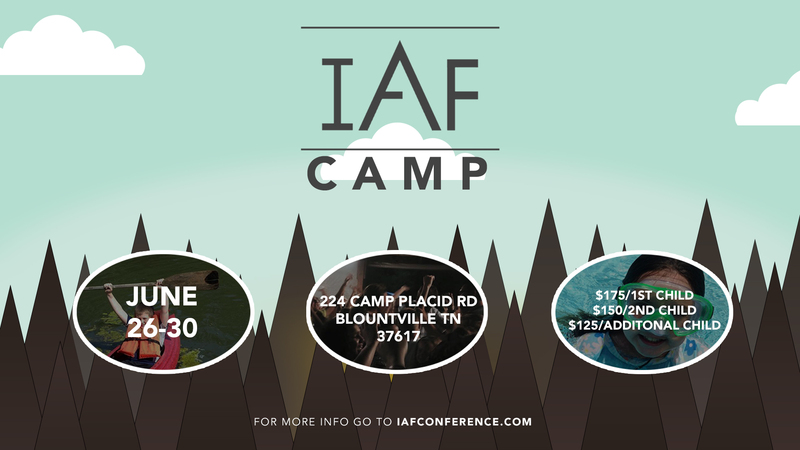 Camper Checkin/Late Registration is on Monday (June 26) at 10:00 am until noon. Camp is going to be great!